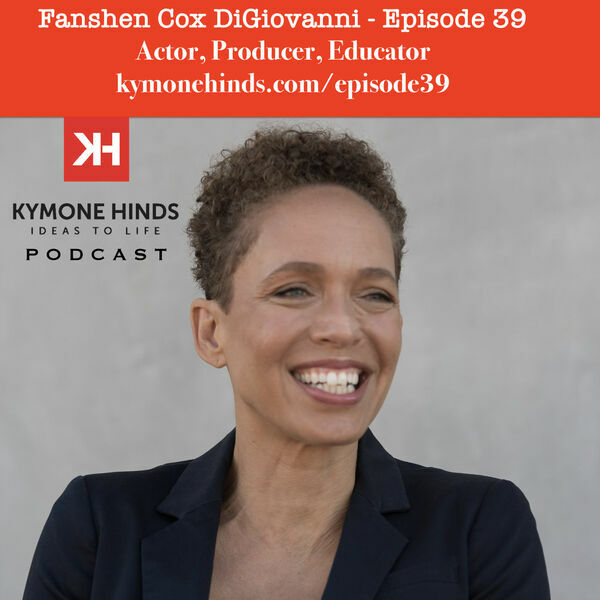 Fanshen Cox DiGiovanni is an award-winning actor, producer and educator. She is currently touring the one-woman show she wrote and performs in: One Drop of Love. One Drop travels near and far, in the past and present to explore history, family, race, class, justice, and love. The show is produced by Cox DiGiovanni, Ben Affleck, and Matt Damon. Fanshen shares the genesis and inspiration for One Drop of Love in this episode. To find out more about One Drop of Love visit OneDropofLove.com. To keep up with Fanshen on social media visit her on twitter. You can also follow One Drop of Love on twitter or instagram. Check out the show notes from this episode at KymoneHinds.com/Episode39.